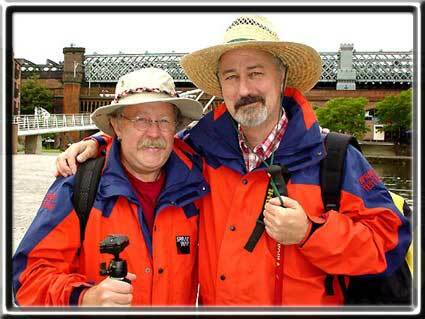 Mike Harding and Greek Taverna owner Dimitri Grillapoulis (trans Jimmy the Grilled Chicken) Leave the UK on 22nd June as part of the first joint Manchester Anglo Irish Greek Expedition to climb Mount Olympus. Mount Olympus is more than 3,000 metres high and is the Abode of the Gods of Ancient Greece – who sit there apparently eating Ambrosia for infinity. It can’t be much of a life for a God sitting there for ever eating tinned rice but there you go – to each his own. Dimitri plans to broadcast a satellite picture of the two of them from the summit of Olympus – if they ever manage to get there. On the way to the summit are the dreadful canyons of tavernas and the lakes of Retsina.